Sporty shoes with a camouflage pattern and a breathable mesh upper. Made for the swift speed of modern life, these juniors' shoes display a sleek running-shoe profile. 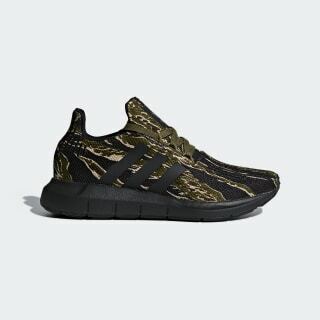 They feature a breathable mesh upper that shows off a camouflage pattern and embroidered details. Lightweight cushioning adds all-day support.